Hawkers coax passerby to fruit wagons set up over dusty asphalt. Plumes of smoke are ejected over their heads from factories in monotonous wisps. Welders working in the womb of a skyscraper’s foundation toil heedlessly under the ashy blanket that shrouds the sky. Another day in the auspicious showpiece metropolis of Shanghai? No, not this time. 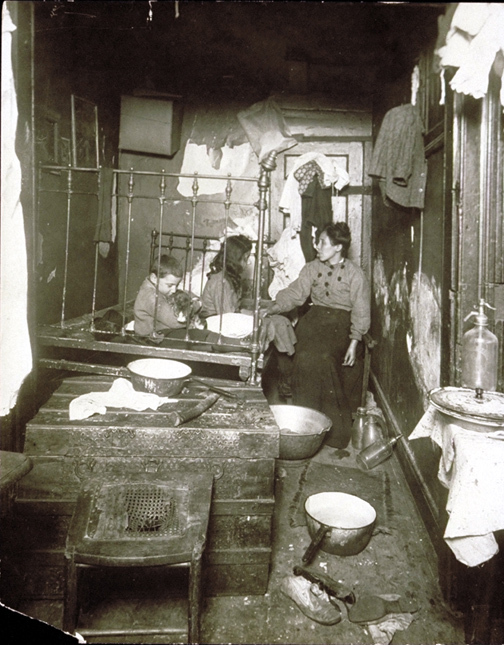 The place: New York City; the time: the early 1900s. Juxtapose a picture of Little Italy taken from the early 1900s against that of modern-day Shanghai and patterns of life in the East and West begin to fall into sync. Street markets, ominous pollution, and constant construction are all traits that lie within the shadows of time lost below New York’s inspiring skyline. The pre-Great Depression industrialization that established what the US has grown to today shows great parallels to urban life throughout Asia: and in China especially. The pulse of life in Shanghai shares irrefutable similarities to a Western world in the embryonic stages of modernization. 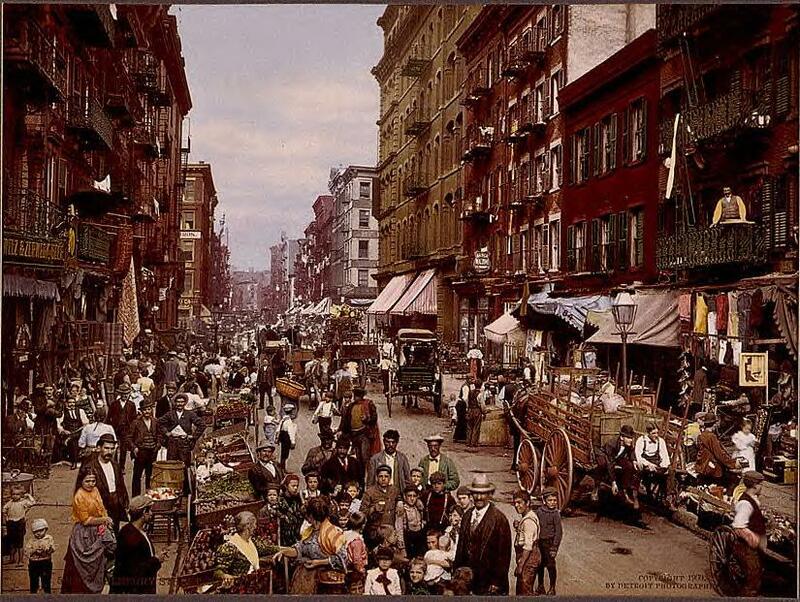 The streets of New York were once brimmed with wooden barrels full of fruit ready to be bagged up and strips of meat strung up and waiting to be weighed out. As an industrializing mega-city, Shanghai’s wet markets serve their population much like they did in New York’s earlier days. Without larger conglomerates to manage and organize food into supermarkets, people are left with only a natural option: public mom-and-pop establishments. After one of these smaller shops grows, thought on production changes; although, as Upton Sinclair’s novel on Chicago’s meatpacking industry shows, advancement in production doesn’t always suit sanitation and strips away congeniality. The coal that fueled the fires of southwestern Manhattan’s Meatpacking District once sketched black lines of ash above the city. China, easily the most dynamic country in the world today, is by now known infamously for its polluting persona. A country in these stages of development tends to push matters of environmental concern aside for progress. China’s argument of environmental consciousness based on relativism at The Copenhagen Summit is brought up in mind of America’s boom at the wake of the 20th century. Before New York’s skyline ate up the horizon, only one building stood over the industrializing island, like a lighthouse taking watch over a swashing sea. Recent memory recalls final construction on the Jinmao tower being erected over neighboring steel frames in Pudong. Today, Pudong has grown exponentially out of the western banks of the Huangpu River, making Shanghai one of the largest cities in the world. Perpetual construction is a way of life here; a metronome with which to measure progress. Rotor engines of tower cranes lifting supplies and men wearing yellow hardhats buzzing away with jackhammers have become the opera of modern-day China. If contemporary Shanghai was made into an opera, for sure it would be story of change: a change that crescendos out of every corner of this city to the uninterrupted beat of a culture bent on catching up.